A surprising new voice has joined the outcry against Government plans to try and weaken encrypted messaging services, one which rather undermines the idea that the debate is a straight choice between encryption and security. Jonathan Evans, a former head of the British Intelligence agency MI5, has said that he is opposed to a crackdown on encryption in an intervention which has surprised many and seriously undermined the already weak arguments being put forward by British Home Secretary Amber Rudd and her colleagues in the Five Eye Nations. As we have reported before, Amber Rudd has been pushing hard against encrypted messaging services since the terror attack on Westminster Bridge back in March. It has been a longstanding ambition for the British to weaken such services dating back through the six years that current Prime Minister Theresa May was Home Secretary. Rudd met with Silicon Valley tech companies earlier this month to continue to push the agenda but appears to be getting nowhere as her flimsy arguments have drawn criticism and even ridicule for experts. Speaking on BBC Radio 4’s Today Programme, Jonathan Evans, who retired from MI5 in 2013 and now sits in the House of Lords, raised one of the big concerns experts have flagged, which is the knock-on effect any weakening of encryption could have on broader cyber security. “I’m not personally one of those who thinks we should weaken encryption because I think there is a parallel issue, which is cyber security more broadly,” he explained. He indicated that, in his opinion, the threat of Islamic terrorism would be around for another 20 or 30 years, describing it as a “generational problem”. However, he clearly feels that larger cyber-security threats are here to stay and that this should, therefore, be given more weight when making policy decisions of this nature. Evan might seem an unlikely name to voice his support for encryption, but he is not the only intelligence figure to have spoken out in this way. 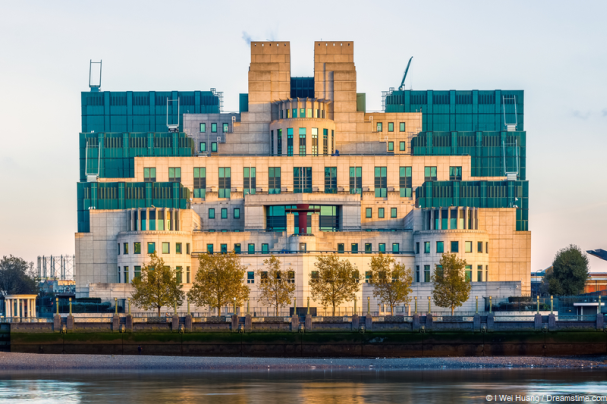 Robert Hannigan, who resigned as the Director of GCHQ earlier this year, the Government signals intelligence agency, voiced similar views on the same radio show last month. Amber Rudd and the British Government have long argued that encryption backdoors are urgently needed by British security services to keep the country safe. The British Government and its allies have tried to mould the encryption debate as being a straight choice between security and privacy. The interventions of such high-profile intelligence figures as Evans and Hannigan completely undermine this narrative. The idea that those who advocate privacy are willing to sacrifice national security for that right is self-evidently untrue now that two leading intelligence agency voices have sided with privacy advocates. It is not easy for Governments to backtrack over stated policy objectives, so it is unlikely that Amber Rudd will change track anytime soon. But these interventions will strengthen and encourage those supports of online encryption and those who are fighting so hard for the right to online privacy.